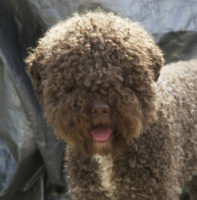 Nonino di Sole e Terra – Mark Wouters – Lagotto Romagnolo Wasserhunde Deutschland e.V. in our kennel "di Sole e Terra"
Very promessing. Best baby, best puppy, best junior in show. 8/10/2016: CACIB Show Charelroi (Be), M.Ceccarelli (It). 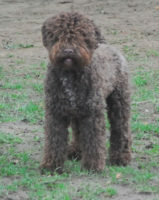 Excellent 1 intermediate males, CAC. Excellent 2 intermediate class males, RCAC, RCACIB. Excellent 1 junior ckass males, JBOB and BOB. Very promessing 1 puppy class males and best puppy. Very promessing 1 in puppy class males and best puppy. 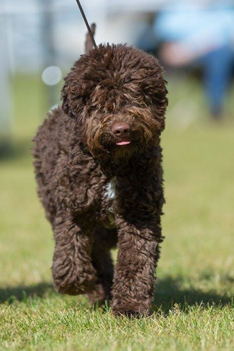 6/06/2015:  Show of the Dutch Lagotto Club in Venlo (Nl), Agneta Pamp (S). Very promessing 1 on 4 in baby class males and best baby. 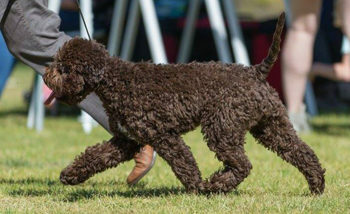 5/06/2015:  Show of the German Lagotto Club in Grefrath-Oedt (D), Alessandro Zeppi (It). Very promessing 1 on 4 in baby class males. Very promessing 1 in baby class males and best baby.